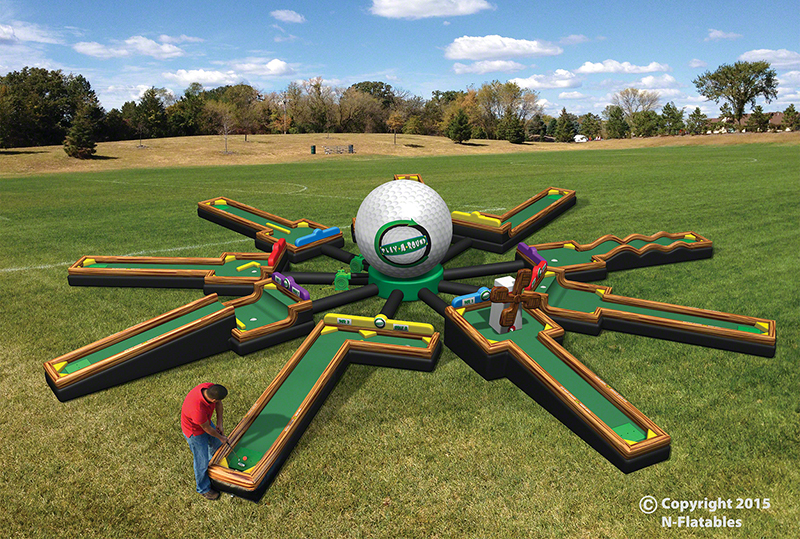 Our 9-Hole Mini Golf takes Mini Golf to the next level. It features 9 holes of varying designs and levels of difficulty. Hole 9 also has a motorized inflatable windmill!